These are the pictures I was looking for over the weekend when I came across all that historic stuff I posted in previous posts, and there is a certain poignancy in these images. For me they sum up what motor sport, and indeed sport in general is all about. 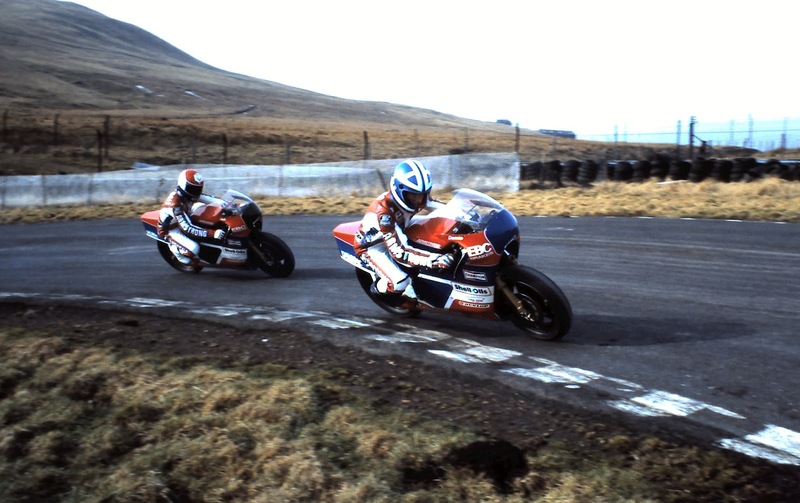 Of the two guys pictured, one went on to a hugely successful professional motor cycle racing career and world-wide recognition, and the other didn't. 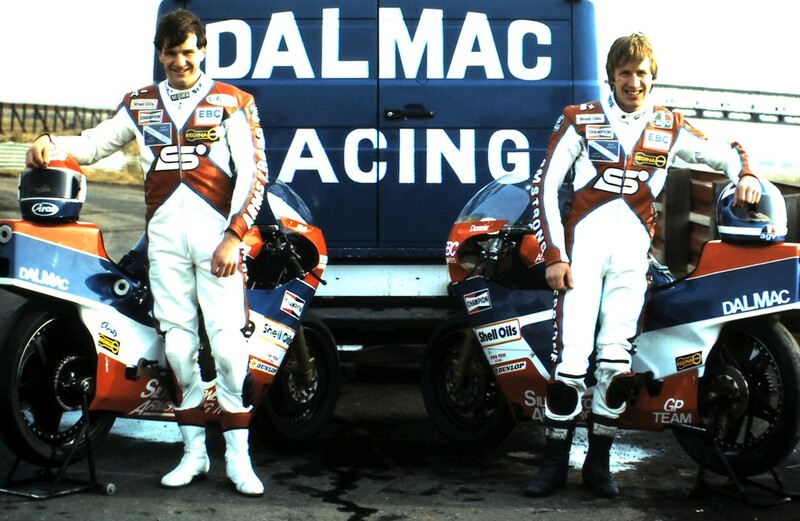 Both were pure natural racers, but talent and dedication is not enough in this game. There always has to be a spark of luck somewhere along the road. One which sends the minority down the road to riches, fame and success and the other which sends the majority into the run-off. It's a salutory lesson. When taking up a sport, any sport, it's best to remember that only one can win. On that basis, surely the principal reason for taking up any sport is one of enjoyment. Be it hanging off a bike and sliding your knee on the tarmac or flying over a 'yump' and hoping the car lands flat and square on the other side, it must be the thrill of participation and involvement. Particularly in motor sport, where there is always the added element of danger, the tingling sense of pre-event expectation and the nervous anticipation of an uncertain trip into the unknown. Speed is the fix, control is the stimulant and survival is the aim. If you get a trophy and accolades at the end of it, so be it, but that shouldn't be the prime reason for doing it. So remember that next time you pull on a helmet. Go to it, immerse yourself and enjoy the buzz while you can, but there can only ever be one winner. The best the rest of us can hope for are good memories and camaraderie. Back to the photo. 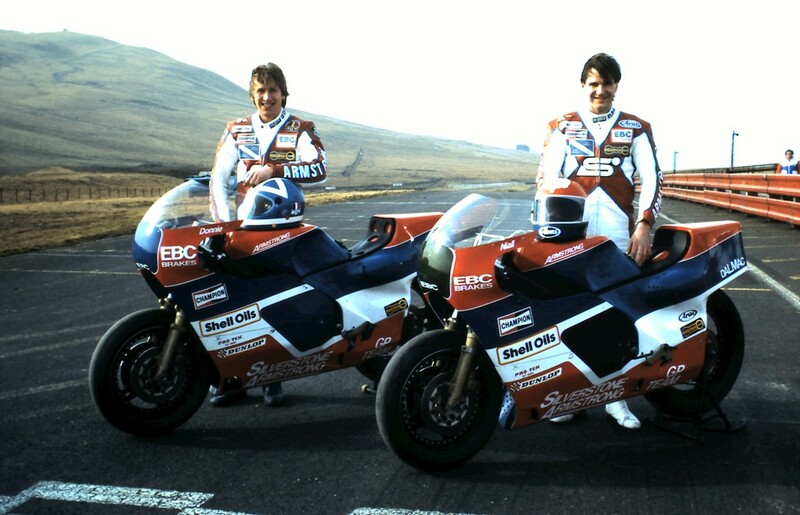 One of the guys in the pic will be instantly recognisable to most of you, but what about the other? In my book he was, is, and always will be, a star too.